By Kerry Perse Voice Network Badge Voice Network contributor, an ongoing writer for our guest opinion column. We're on the brink of the fake influencers versus real influencers battle. That was certainly the case after reading about the rise in popularity of CGI influencers. Where do I even start with this? Influencers are influential because they are an authority on a topic. They have formulated their own opinions, whether they be about health and wellness, personal style, beauty tips, movie reviews, recipes, travel destinations or how to survive being a parent. These opinions are based upon real-life experiences and personal preference. While they often take a very aspirational approach to showcasing their opinions by posting a perfectly constructed Instagram shot that has been edited and filtered within an inch of its life, they are still real people who actually did those things. One of the primary reasons that brands invested more into influencer marketing is the past two years is because it is a nice change of pace to have someone else talk about your brand rather than consumers only hearing the voice of the brand. Influencers do a great job of coming up with a new angle or a very personal way of describing how they use a product or interact with a brand. When done well, they make a brand seem more relatable and relevant. There is no real influence from fake influencers. I don’t disagree that there is a lot of influencer marketing that is done poorly, such as the content that feels overly contrived, inauthentic and super forced. As an industry, we should shy away from the over-commercialization of influencer marketing in general, and paying computer-generated graphics to talk about our products is absolutely moving in the wrong direction. There is no real influence from fake influencers. So how do we avoid the fake influencer trap? Leverage all the vast data available to select the best influencers for your brand. By establishing the ideal profile of each type of influencer you would like to partner with, you have a clear lens with which to evaluate all potential partners. In the same way a brand should have a unique and well-defined brand voice, they should also have a clear and consistent approach to influencer marketing. Monitor social conversations around your brand, your category and those driven by influencers you are considering partnering with. Really dig into what language or vernacular feels natural and what content is not only consumed but also garners participation. Use these insights to craft a compelling creative brief for your influencer partners that they can easily take their own spin on. One of the best ways to set yourself up to achieve your KPIs and maximize your earned media potential is by looking at what is currently working and deriving inspiration from what already happens organically. Once you find influencers who really drive results for your brand, develop a long-term strategic partnership with them. The relationship will get more familiar, the content will get better and the authenticity will shine through. The halo of influence that a brand achieves through long-term partnerships continues to build and solidify over time. One of the components of the influencer strategies we develop on behalf of our clients is a bespoke value exchange between brand and influencer. It’s critical to take a step back before conducting any outreach to long-term partners and really think through what it is that your brand can uniquely offer influencers and what specifically you would like in return to forward the efforts of your specific business. This mutual respect will go a long way in ensuring future performance. Let’s not bring even more artificiality to our Instagram feeds and keep CGI where it belongs—in the movies. Be selective, listen to your customers, measure and repeat. 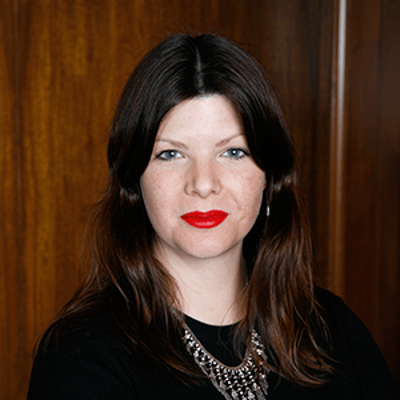 Kerry Perse is head of social media for media agency OMD.